Death is a part of life for people aged over 95, who mainly live day-to-day, says a study of attitudes to death and dying among the very old. 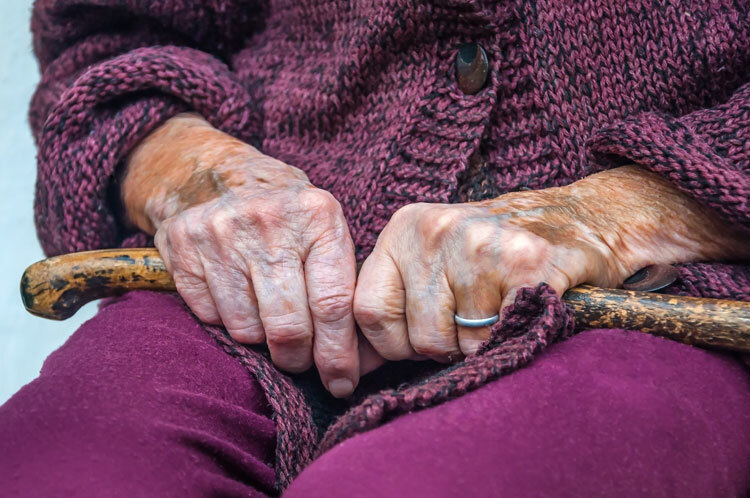 The research, published by PLOS One, shows people in this age group are willing to discuss dying and their end-of-life care, but are seldom asked. "Despite the dramatic rise in the number of people living into very old age, there is far too little discussion about what the oldest old feel about the end of their lives," says Dr Jane Fleming from the Department of Public Health and Primary Care at the University of Cambridge, who led the study. "We know very little, too, about the difficult decisions concerning their end-of-life care." Dr Fleming and her team interviewed 33 people aged over 95 about attitudes to death, dying and end-of-life care. Nine were too frail to be interviewed alone so a proxy (relative or caregiver) was used. Many of the older people referred to "taking each day as it comes", says Dr Fleming. Most are not afraid of dying and accept it will happen soon. One man described how his mother-in-law had given a long-life light bulb to her granddaughter, saying: "Something for you, it's not worth me having." Discussion of funeral preferences is more common than talking about death, and the manner of death is of more concern than its imminence, say to the reachers. “Death is clearly a part of life for people who have lived to such an old age," says Dr Fleming. "So the older people we interviewed were usually willing to discuss dying, a topic often avoided."